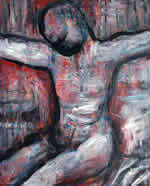 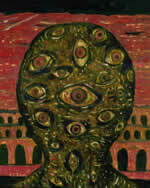 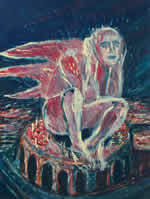 Above: "The Angel of Life and Death", 2010, acrylic on board, 20" x 16". 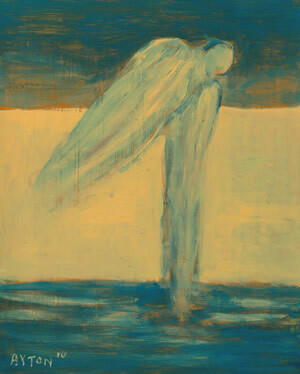 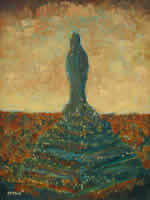 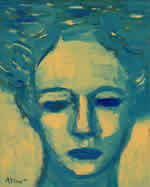 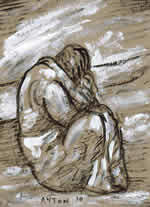 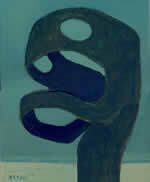 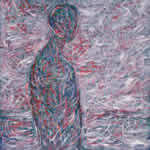 Above: "Angel by the Sea", 2010, acrylic on board, 10" x 8". 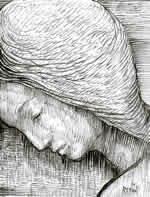 Above: "Getting Closer ", 2010, brush & ink on paper, 11" x 8.5". 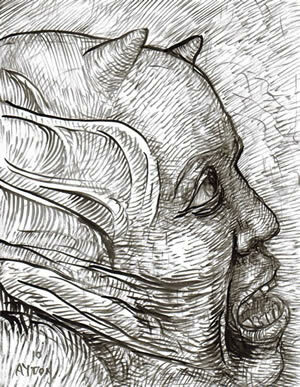 Above: "Back In Hell", 2010, brush & ink on paper, 11" x 8.5". 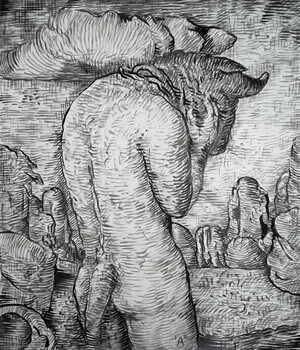 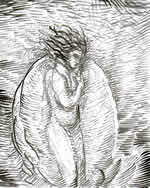 Above: "The Minotaur in Hades", 2010, ink on paper, 16.5" x 14". 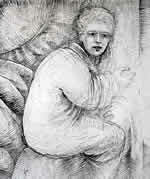 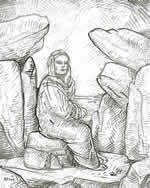 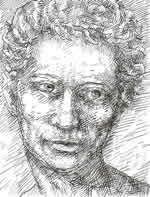 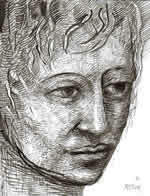 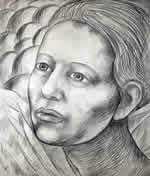 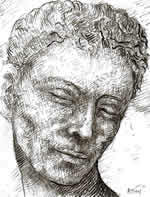 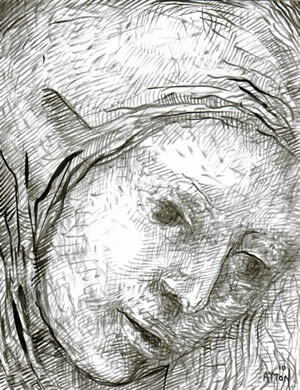 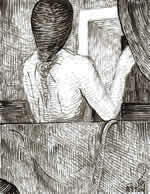 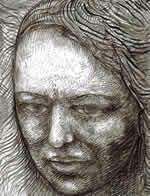 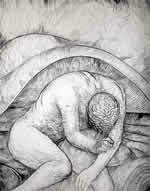 Above: "Life Drawing of a Seated Woman", 2010, pencil on paper, 12" x 9". 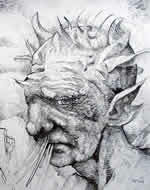 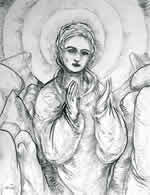 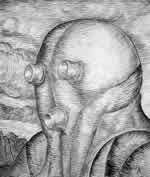 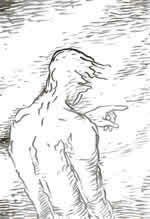 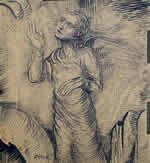 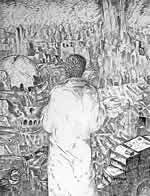 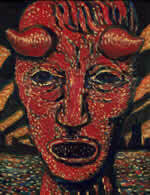 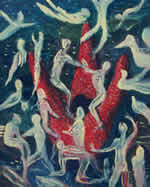 These are drawings and paintings created by William T. Ayton in 2010, including many drawings and a number of paintings relating to the Heaven and Hell series (originally begun in 2007). 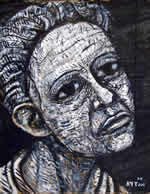 More pieces will be added throughout the year. 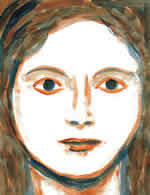 Please click the thumbnail images below to see larger versions. 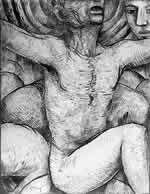 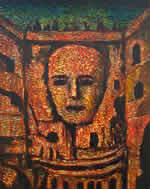 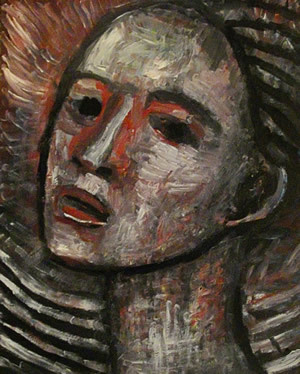 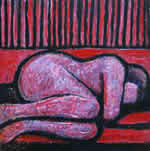 For more artworks, uploaded as they are made, please visit the Ayton Art Blog and the Flickr photostream. 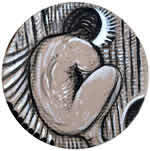 2010, 7.5" x 5.5" approx. 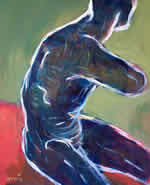 2010, 11" x 17" approx. 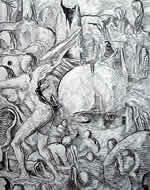 2010, 11" x 8.5" approx.